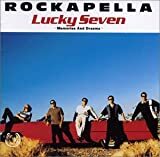 Rockapella is an American a cappella musical group formed in 1986 in New York City. Their name is a portmanteau of "rock" and "a cappella". 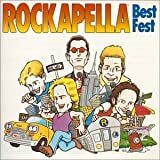 Rockapella sings original vocal music and a cappella covers of pop and rock songs; over time, their sound has evolved from high-energy pop and world music toward a more R&B-style sound. Rockapella originally found their biggest success in Japan during the 1990s, while in the United States, they are best remembered for their role as a vocal house band and resident comedy troupe on the PBS children's geography game show Where in the World Is Carmen Sandiego?. 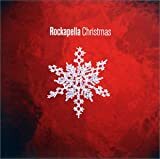 Rockapella has released 19 albums in Japan and the United States, and 3 compilation albums in Japan. 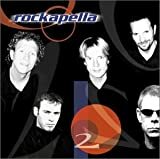 The text "All sounds provided by the voices and appendages of Rockapella", the central idea of the band, has appeared on all of their CDs since the addition of their vocal percussionist.